THE DUSKWHALES: SORROWFUL MYSTERIES (AVAILABLE ON MELTED TAPES)! The Duskwhales, a Virginia based three-piece, are known to lean towards the unconventional, as they proclaim themselves to be their own combination genre of “Indie Pop Gypsy Rock” and guitarist/vocalist Seth Flynn can often be seen at gigs adorned in glitter. However, their latest album, Sorrowful Mysteries, is a beautiful representation of the band and their eccentricities without being messy about it. This glorious album is now for sale on tape from yours truly, Melted Tapes (link below and also available under 'SHOP' tab)! There is a sensation to their sound that makes it hard to pinpoint if they’re embodying the past or portraying the future, as the group draws most of its musical influence from the 60s but also utilizes a lot of texture and unique arrangements in their production. The band’s set up of drums, guitar, and keys, is definitely an unexpected one to the normal three piece rhythm section but it proves nonetheless to be an aid, as the keys (played by Brian Majewski) add to the group’s distinct tone. All these attributes combined ultimately are what make Sorrowful Mysteries such a standout and feel good record. Though the track lengths may be intimidating, as only one of the ten is under four minutes, each proves to be complex, alluring, and never vapid. Flynn has these great, solid vocals that are often backed up with some nice harmonies that really give the songs a very full, developed sound. All members are also impressive at their instruments and at being composers, as each song is infectious in its own right, from their overall structure to every detail. “In The Year of Jubilee” is definitely a buoyant song that conveys the as mentioned developed sound of The Duskwhales, as this one pulls out all the stops with a bouncy guitar solo and a retro piano one and not to mention some fun staccato harmonies during the chorus. The Duskwhales’ lyrics are also very impressive, as they’re very playful with the occasional heavier meaning underneath. A notable track in terms of lyrics is definitely “Whirl,” the opening line “Rolling your eyes like a cigarette” draws the listener in and continues on with an interesting, somewhat melancholy use of religious/catholic imagery (“Smoke rings blow over me/Singing you rosary/Mary go round and round”). There is also a lot of storytelling on this album, particularly so in conveying the concept of “coming of age,” the trials often met during this time of life, and one's attempts in understanding it all. 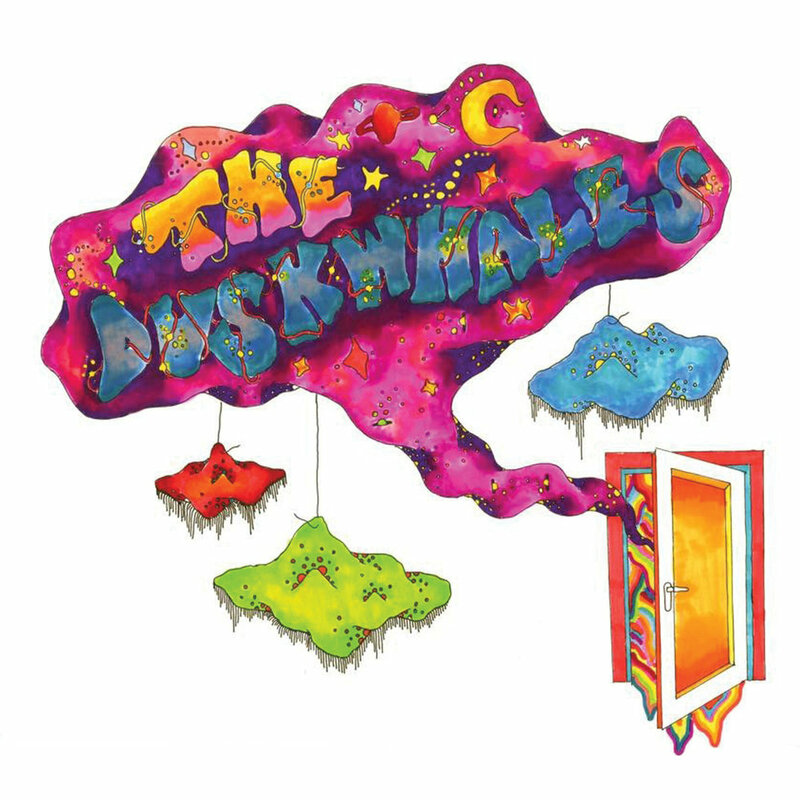 There is no doubt that The Duskwhales have the “sophisticated psychedelic” vibe down pat, this record providing listeners with a pop feel that has all the bounce but none of the bubblegum (but definitely some glitter). Available now from Melted Tapes, see link below.